The paper has become much too long that the end is going to be very abrupt. Against this vast historical, planetary and cosmic sweep of karma dharma and destiny if anyone still wants to hold on to an Aryan invasion theory, soft or strong, and hold according to the latter that the Vedic Aryans were autochthones to India and it was they who originated the westward march and caused the spread of the vast sweep of Indo-European languages, it is but an utterly defenceless proposition, and taking note of which is even greater foolishness for the scholarly community and society. I for one want to totally and absolutely undersign the great and most scholarly work of Prof Michael Witzel, Autochthonous Aryans? - The Evidence from the Old Indian and Iranian Texts. Nothing more after Witzel need be said on this motivated postcolonialist agenda of revivalist Indian history. Unlike the Dravidian, the Indo-Aryan is a field in which a couple of centuries’ painstaking and exhaustive researches have gone into reaching very reliable knowledge; while the changing time-spirit might call for new angles of perception and refinement, there is utterly no space for a dispute unless some parties are motivated to create one. 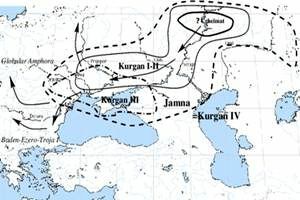 There are so much linguistic historical and archaeological researches in the field that I for one do not feel that anything more need be or can be added after Marija Gimbuts’s Kurgan Hypothesis which validates the south eastward spread of the proto Indo-Iranians through Kurgan I to IV stages, locates the Urheimat I & II and traces the expansion in the eastern wing up to the Gangetic plains. 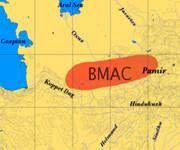 And equally weighty source is Asko Parpola’s researches on the Indus Script and his BMAC Project (Bactria-Margiana Archaeological Complex) which complements and more than reconfirms the Kurgan hypothesis. Anyone who has some general knowledge in the field knows the intimate linguistic connection between Avestha and Vedic Sanskrit: that they belong to the same Proto-Indo-Iranian, that the same tribe diversified into Iranians worshipping monotheistic Ahura Mazda and the polytheistic vedic Indo-Aryans; the conflict that led to this division has been narrated in various sources, notably inWitzel and Parpola in our case, it has been suggested both in the Gathas and Rig Veda, the myth of the Battle of Ten Kings, etc; it does not require much wisdom to come to the general conclusion that the Indian branch that turned to polytheism and the Iranian branch that insisted on monotheism could not have been held under one umbrella, to which then comes the geographical spread, which made the division natural. Saptha Sindhu is the very Urheimat this enlightened and elevated bardic type carrying the memorized vedic stanzas with them, Saptha Sindhu is the geographical spot where this first outpourings of human mind found their written expression, it was in this pastoral habitat the pre-vedic culture flourished, they might have evolved a script system at some earlier stage of the wandering, possibly before parting from the Iranian side, from Sumerian, Aramaic sources at the BMACstage, what is to be noted is that their self-perception of this South Asian Urheimat was strictly the Saptha Sindhu, very clearly that perception is not the ‘Punjab, the land of five rivers’, thus the vedic Urheimat ipso facto went beyond the present Punjab, it extended towards the present Rajasthan, the scene of Sarasvati and the Gaggar, hence the total number of the rivers made out the holy number of ‘seven’, truly where the Vedas and the vedic civilization could and would have flourished. Sarasvati was the goddess, in fact the most supreme at that being repository of all wisdom and Knowledge; the river, flowing or dry, was just a metaphor, like the murthi of the meditator, so the vedic bards sang profusely of the Sarsvati the goddess, and she is the metaphysical river, flowing even today to the Sangam at Allahabad and joining with the Ganges and the Yamuna, celebrating also the Kumbhamela once in twelve year Jupiter cycle. Saptha Sindhu the Urheimat, is the core of the Aryan civilization, so I for one do not understand why the revivalist post-colonialist historiography feels provoked to change this sacred name of the Urheimat to ‘Sindhu-Sarasvati Civilization’; Indus Valley Civilization got its name since its chief archaeological finds of Mahenjadaro and Harappa were found on the Indus; the revivalists want us to believe that the maximum number of the archaeological sites are on the Sarasvati, but who knows if there aren’t more to discover elsewhere? When the orientalists unearthed the ancient and the lost Sanskrit inheritance, what they found was the treasure trough of knowledge and wisdom which enthralled the entire world with Benares moving on to the Rhine as we elaborated above, but what could they decipher from the so called Indus valley writings... Absolutely nothing except that seals with inscriptions were in circulation! This means for all common sense assessment, the Indus Valley civilization was a pre-literate society of the early mid Bronze Age and preceded the Aryan penetration by centuries if not at least a millennia. So what Aryan invasion are we speaking about? If we make out the so called Aryans were autochthones and it was they who penetrated westwards taking their language and civilization to the wider Eurasian ecumena, we can only then wonder how could this have been inasmuch the Indus valley people were incapable of writing and intellectual creativity? Just like the westward march in America was in the form of creating of frontier new communities and states, from Saptha Sindhu the vedic people gradually penetrated eastward, fist of which was the Kuru clan, around Kurukshetra, whose mythological connections through Mahabharata and Bhagavat Gita gained a worldwide currency like the mystique of Sarasvati itself. Countless are the sources that testifies to the origins of this Kuru clan to Bahli Balkh or Bactria. For want of space let me cite just one sentence from Wikipedia, "Puru-ravas Aila, first king in the line of ancestors of the Kurus above, is mentioned in Ramayana stories as the son of a ruler who came, in some remote antiquity, from Bahli (Balkh) in Central Asia to Mid India (Ramayana, VII,103.21-22)." The same is true of Panchala or Pandavas their brother clan in the Mahabharata, and of the further clannish early kingdoms which were spreading towards lower flow of the Ganges and southwards running down to the Vindhyas, these early tribo-political units are known the Maha Janapatas, the chief of which that shaped the history of the post-vedic megacycle are: Kasi, Khosala, Anga, Magadha, Vriji, Malla, Chedi, Vamsa, Kuru, Panchala, Machcha or Matsya, Surasena, Ashmaka, Avanti, Gandhara and Kamboja... They came to make up the space of the Aryavarta north of the Vidhyas; what we have south of the Vidhyas must be designated as the Dravidavarsha. They have emerged in to history slightly later perhaps, something like half a millennium before the CE, which makes it slightly less contemporaneous to the northerners of Aryavarta. Their story is the rise and fall of various dynasties, the Pallavas in the extreme south, then the Cheras Cholas, Pandyas, Hoysalas, Chalukyas, and Satavahanas who were all non-Indo-Aryan or Dravidians, later to be separated as Tamils, Keralites, Kannadigas, Telegus, with sprinkling of Thulus, Konkanis, Gonds, etc. etc. Correspondingly we have the rise and fall of a number of dynasties in the north whose name are too familiar to be listed here, they together form the ‘Indo-Aryan civilizational cycle’ of my Pre-vedic Megacycle, continuing in the further two subsequent civilizational cycles of the Islamic and the British periods. Have the people of the Indus Valley civilization passed into this racio-civilizational stream of the Dravidians? It is absolutely impossible that the Dravidian could have originated at Indus Valley which was more an extension of the settled agricultural life of the Semite river valley civilization. There are many studies trying to establish such a connection, some of them early twentieth century could possibly have also been motivated by a ‘divide and rule’ instinct of some of the Western scholars, or may be they were trying to put down their insights and perceptions as truly as they could. Inasmuch as the Indus Valley civilization was not a literature one, it is foolish to trace the origins of Tamil or the Dravidian languages therein. 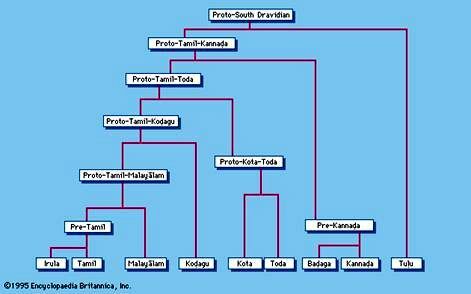 Tamil is a very old language, and might have a root going as far back to Kumari Kandam or Lemuria through the Sangam periods. The Indus valley civilization belonging to the early and mid Bronze Age segment must be seen as an extension of the proto-historic civilizations of Sumer, Babylon, Assyria, Elamite Persia, and must be classified as a Semite Proto-Saharan group. And without relating them directly to the Dravidian family, I am inclined to support Cyde Winter’s statement, “The Elamites, Dravidians, Sumerians and Manding are all of the Proto-Saharan origin. In the history of mankind they were called the Kushites. Testimony of the great heritage of the Kushites, resulted from their boldness in trade and seafaring expeditions. The authors of ancient Indian literature claimed that the Kushites ruled the world for 7000 years. According to Epiphanies, the age of the Kushites extended from the Flood to the age of Terah, the father of Abraham, the prophet of the Jews and Muslims." While attesting such an age and authentic origination to the Dravidian family, which resonates well with my own personal sentiment, even forgotten memory, as a Keralite, and while I believe Aryavarta north of the Vindhyas and Dravidian family south of India co-existed or mutually aggressed during the early Indo-Aryan period, the four major South Indian languages made themselves independent before the end of the first millennium CE and then went through a sankritization or brahmanization period that the Dravidavarsha gave way to the Bharatvarsha. This was more a subconscious racial process during the Muslim and the Western periods of Indian history; this Sanskritization went so far that once Freedom was in sight, there existed absolutely no common ‘Dravidian national empathy’ except as part of a common Indian national empathy. It would have been impossible for example for Malayalees trusting the Tamilians or the Kannadigas or vice versa for forming a common nation as the Muslims under Jinnah did by partitioning the country. Through English there came about an all India national ethos, through that language the South Indians understood the North Indians better than the South Indians among themselves; such an understanding was out of question as the Dravidian languages were not mutually comprehensible. It was India that caused the passage of Dravidavarsha to Bharatvarsha. If this India had born say as ‘Hindustan’ set against ‘Pakistan’ and if Hindi were to be the national language, then and then only it would have been possible that the nation of Dravidistan or Dravidavarsha would also have become a separate political identity like Pakistan. The origin of Indian civilization is clearly Vedic or Aryan, to which the Dravidian, the proto-Australian, the negroid and the mongoloid came to be assimilated, and it has now become verily the matrix of the emerging ultimate world civilization having equally assimilated the Islam and the West which were the dominant forces of world history shaping the middle ages and the modern period. Every one of the regional High Civilizations after their unfolding over millennia have now converged into one single Global Civilization of human race and family; as human race our job is to carrying forward History Geopolitics & Evolution towards the Sixth Root Race. While the third and fourth root races perished or destroyed each other, the fifth one splendidly completed its civilizational mission of world unification, yet also its shadows are living with us, threatening us with the same global destruction that engulfed the Lemurians and Atlanteans. As Pax Britannica proved to be a chief carrier of the ‘theosophical aryanization’ of the modern period, Blavatsky envisages a special role to a ‘Pax Americana of Hope’ as its successor. And Vedic India which was the chief carrier of that mission for the ancient world has been assigned an equally important place in this humanity’s passage towards the Sixth Root Race, the Pax Indica of the Spirit. The archetypal metaphors of the Svastika and the Cross which were the routes that the fifth root race took in carrying out its mission will now converge into a new archetypal symbol the Ankh which is the sense of belonging and identity of the New Humanity and the new human race. As the unipolar superpower the US is the chief captain on the playfield of Geopolitics, but it continues to be the same geopolitics of the Atlanteans, and the same destruction is bound to follow, sooner than later. The ‘US-Indian Strategical Partnership’ inaugurated by the G.W. Bush administration must now be reviewed in this new light; alone the Svastika and the Cross that legitimate them to be the Pax Indica of the Spirit and the Pax Americana of Hope can legitimate these partners also in the eyes of the other world powers and civilizations and guide human destiny towards the Sixth Root Race that is the Pax Humana. If the fifth root race was called upon to ‘aryanization’ and the sixth is obligated to accomplish its further humanization and divinization, let us Indians look beyond the ‘Aryan/Non-Aryan’ binaries and embrace Indian civilization in its totality which like the Vedas itself is without beginning and end one with human pilgrimage to our eternal home, OM, the new earth and new humanity of the Seventh Root Race upon this very earth the Pangaea. 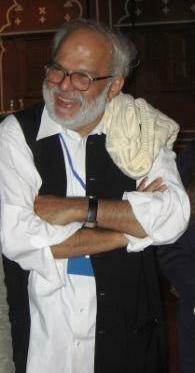 Professer Asiananda, who is presently Professor of Philosophy at Intercultural Open University Netherlands and holder of its ‘Sri Aurobindo Chair for Human Unity’ obtained his Ph.D. at the Calicut University on ‘Indian Writings in English’ and Dr. of Phil fromRuhr University Bochum Germany on “US – South Asian Relations 1942-1963”, was lecturer (1972-92) at a German Technical University (Fachhochschule) Bocholt. His encounter with Rajiv Gandhi in 1988 moved him to dedicate his life in India’s service: “Building up the India of our Dreams… in a nonviolent and nuclear-free world”. He moved to New Delhi in 1991, his arrival in Bombay airport on 21 May at 10.30 pm happened to coincide with the news of Rajiv Gandhi’s assassination; since then he devoted himself to serious writing: WHITHER INDIA? WHITHER HUMAN FUTURE?? (1995); REDEFINING INDIAN HISTORY – ON THE MILLENNIUM PARADIGM OF BHARAITYATA (1999); NUCLEAR SUBCONTINENT – CALLING FOR A CON-FEDERATIVE RE-MAKING OF UNITED NATIONS (2000) co-authored with Prof Jan R Hakemulder Chancellor of the Intercultural Open University (Netherlands); HEALING THE SUBCONTINENT – An Indepth Psychoanalysis of Partition and Kashmir co-authored with Prof VT Patil then Vice Chancellor of Pondicherry University (2002); A CORRECTIVE READING OF INDIAN HISTORY – JINNAH (2005). Jinnah is the first of a 4-volume project, its second volume subtitled GANDHI is going to be released before the end of 2006; volume 3 sub-titled QUIT INDIA 1942 1945 1947 and volume 4 sub-titled an INDEPTH PSYCHOANALYSIS OF THE MAHATMA are projected to be out in 2007 and 2008 respectively.